The first month of the Academic Year 2012-2013 is down. We are, in fact, half-way through July. But before anything else, I would like too give a rundown of God's faithfulness last month. 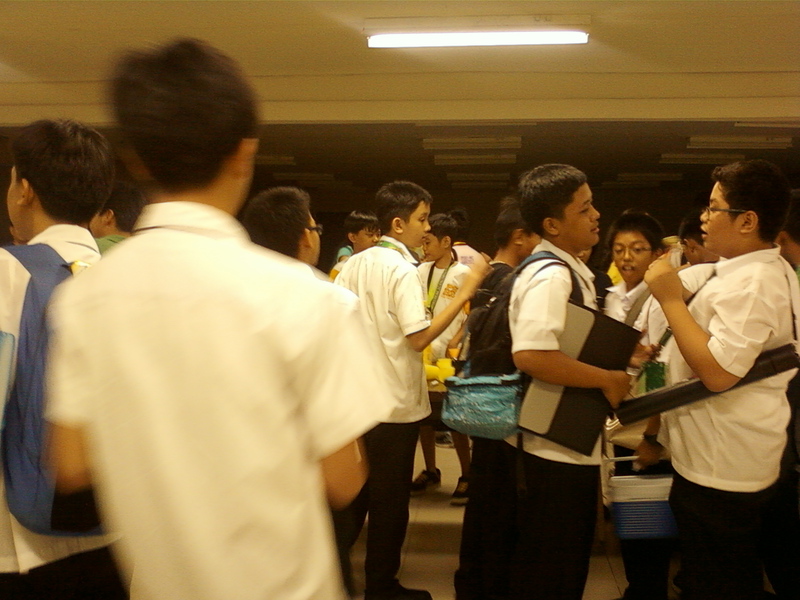 Despite cloudy skies and lapses in publicity, the Lord was faithful in seeing His annual Freshmen Treat through. We at the Dormitories Christian Fellowship once more partnered with the State Varsity Christian Fellowship and the Diliman Campus Bible Church in organizing a welcome event for freshmen on campus. We held the event to build friendships with the young Iskos and Iskas with the prayer that we will be able to share Christ to them through our life, deeds and words. Unlike the previous freshmen treats, however, this year's "Tara Ikot Freshmen Treat" featured not only an overflow of food and drinks but also several relevant activities that teach about life, relationships, honor, priorities and faith. The event may be over, but the follow up continues. This is the more difficult part. Labor in prayer with us as we continue to interact with the freshmen who attended the event. May they be willing to attend Bible Studies, Fellowships and even Church as they get to know Jesus more and more. The ACTS Fellowship in the Philippine Science High School also held its annual Freshmen Treat a week earlier. 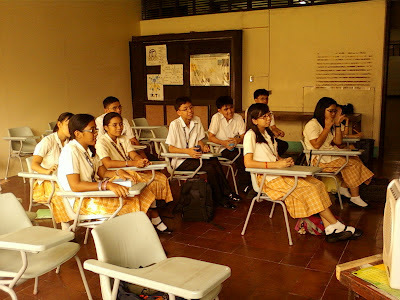 Theirs was an opportunity to introduce the group to the new students of the Pisay Community. They packaged their Freshmen Treat around the upcoming movie, "The Hobbit: An Unexpected Journey," drawing parallels between it and Pisay Life. But above all, the title is very fitting because of our hope that the students will find their Pisay experience as a journey-- unexpected as it may be-- towards a deeper and fuller relationship with the Living God. Pray for these students. Pray also for the Grade 7 (Yes! That's how they're called now) team members who are following up the attendees. May God do immeasurably more than what we ask or imagine. For the first time, DCF offered a Library Tour for UP freshmen as part of its community service to the university. We were all amazed at how the Lord moved. The event was one of the easiest to publicize because the students were really eager to know more about UP, especially its database of resources and information. The UP Main Library was also kind enough to accommodate us for free. They gave us a tour guide who discussed essential things about accessing resources, academic excellence and plagiarism. Though we were unable to tour each part because of time constraints, our last stop at the original Oblation statue was more than enough. After the tour, we had small-group discussions with the students. This was our way of introducing DCF to them as well as finding connections for friendship-building. As with any other big events, follow up is essential. I ask you, praying friends, to intercede for the small-group leaders as they follow up those whom God has appointed to them. Before the Academic Year officially began, we spent one Friday afternoon praying for all the dorms, Jericho Walk style. We do this every year as a sign of dependence on God's power in fulfilling His commands and ministries in the dorms. 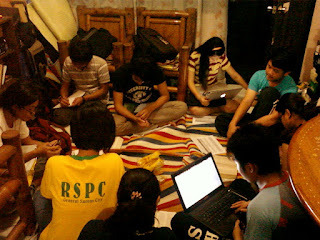 Unlike the previous years, however, we divided into two groups to cover the dorms more quickly. One group started in the south side of UP while another in the north side. 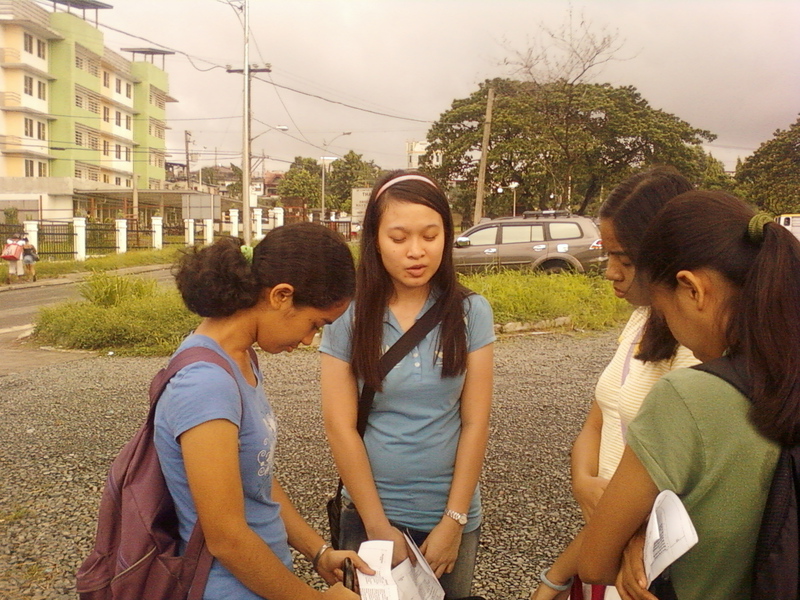 We then converged infront of the Kalayaan Dorm to culminate our prayer time. At the end of the Jericho Walk, we have prayed for Centennial Dorms 1 and 2, Kamagong, Sampa, Kamia, Ilang, International Center, Molave, Yakal, Sanggumay, Ipil and Kalai. It was a wonderful and refreshing time of prayer and intercession, as well as our first official bonding time as a fellowship. The Executive Committee of DCF met for an overnight sem planning during the registration period. It was a night of intense thinking, prioritizing and scheduling especially as the fellowship recently changed its constitution. The move was made to adapt to changing times as well as to sharpen the ministry's focus. All dorms were represented during the meeting. Praise God! The core heads also laid down their plans and proposals while the rest of the body gave suggestions to improve or streamline the programs. They also discussed the constitutional changes from the previous Exec to understand each provision better. Every now and then, they revised a word or two to make it clearer and more in-tuned with the times. 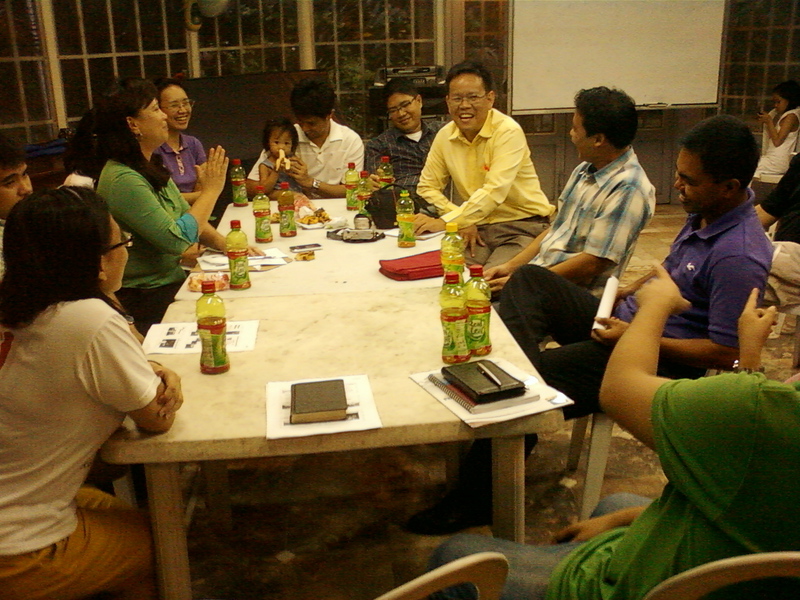 The group also held quick team-building activities, devotions and prayer times during the planning. To prepare the new set of ACTS leaders, our Pisay Fellowship conducted a week-long leadership training. I was able to join the first installment where Ma'am Ayn talked about the leadership of Christ as the prime example for the students. We also had time for reflections and prayer as the training also included spiritual preparation for the participants. We are very excited for the new set of leaders in ACTS because of their eagerness and potential. Pray for them as they lead God's ministry in their campus. Now that the UPDCF Alumni Association had been officially recognized by the Securities and Exchange Commission, its members gathered and met for its annual general assembly. This was an opportunity for the members of the association to renew their commitment as well as to elect new officers for the coming year. Though there were still only a few alumni who came, there were several additions in the roster of members. Praise God! I ask the other alumni to continue spreading the word about DCF's Alumni Association. I also encourage our brothers and sisters to visit their old dorm fellowships especially the ones that really need assistance. We continue to pray with you for GOD's grace to impact more lives for Christ. Keep the updates coming.